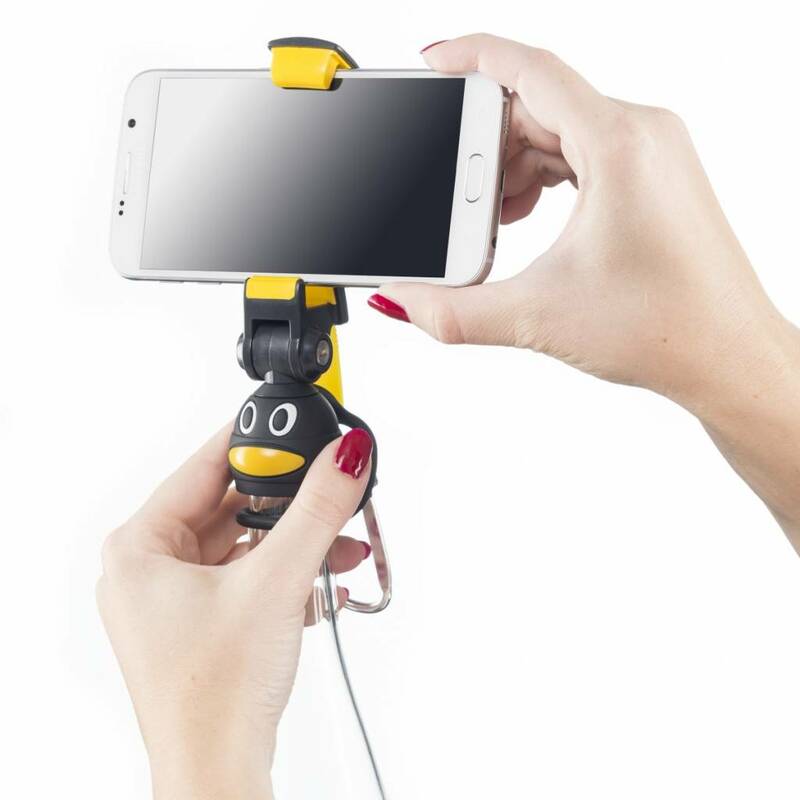 Smartphone Selfie Fleshouder Pinguïn, een leuke en schattige gadget voor je Smartphone. 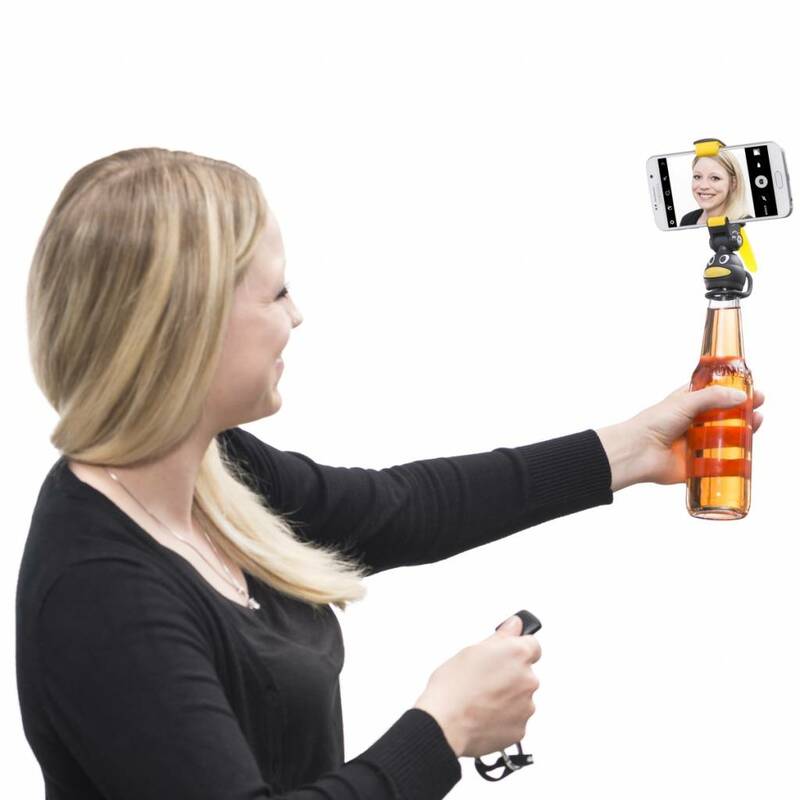 Tafelstandaard, hand-held statief of selfie stok. Voor flessen met standaard dop (Ø 29-33 mm). Voor Android-smartphones en Apple iPhone (breedte 40-150 mm). Incl. Bluetooth afstandsbediening voor Android of iOS. Simply ingenious and amazingly versatile – the mantona Bottle Selfie Holder for your smartphone! 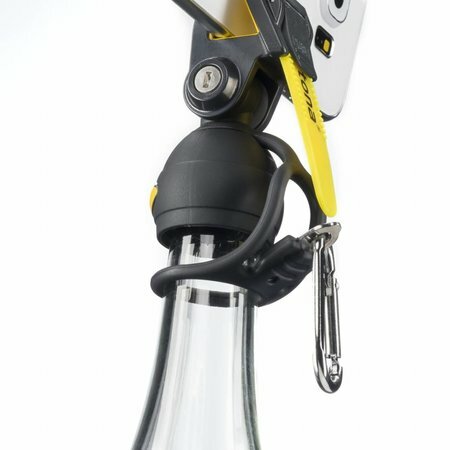 Simply plug the mantona Bottle Selfie Holder on any bottle with regular screw cap (Ø 29-33 mm) and turn it into a tripod with remote control in a matter of seconds! You can’t help falling in love with the cute gadget with penguin design! Regardless of whether for a quick but high-quality selfie or for photo/video recording and viewing – this small helper is just what you need, and at this, it is small and lightweight enough to always carry it with you. Similar to a Selfie Stick this mantona Bottle Holder facilitates much better camera control of your smartphone than with normal shots taken directly from your hand. The shots are much steadier, and thanks to the increased distance to the object photographed, exposure angles and perspective are rather versatile. 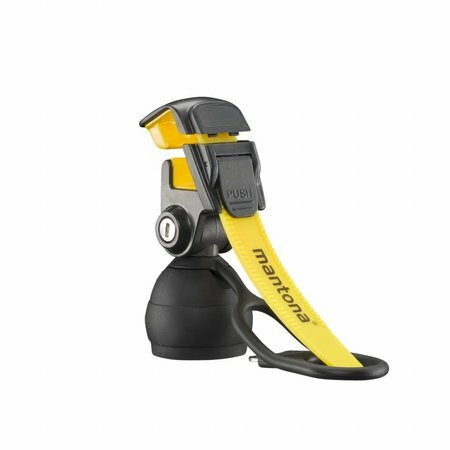 The small Bluetooth remote control lets you control the photo-shooting function of your device very conveniently – regardless of whether you want to create a classical selfie by hand or use the mantona Bottle Selfie Holder as tripod stand with remote control. The need for a table stand often arises rather spontaneously and from a particular situation – but who always carries the right photo stand along? The mantona Bottle Selfie Holder is the ideal solution for such cases. It is very compact and lightweight thus always fitting in a backpack, purse or pocket. Simply placed on a bottle with regular screw cap you can now enjoy photos/videos with your mobile or table practically everywhere in a matter of seconds. The search for the right fixture for your smartphone is over now! The smartphone can be snapped quickly into the flexible universal holder; thanks to an angle adjustment of up to 270? 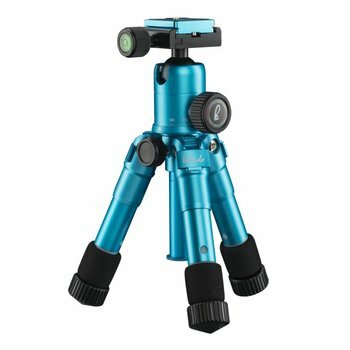 the ideal perspective can be set for the shot; events or other occurrences can be filmed immediately with your device, and this conveniently and with high-quality. The remote control supplied works per Bluetooth from 3.0 (or higher) and can be used with both common Smartphone operating systems – IOS from 5.0 and Android from 2.3.6 (or higher). Coupling takes just a few seconds and is as easy as winking. 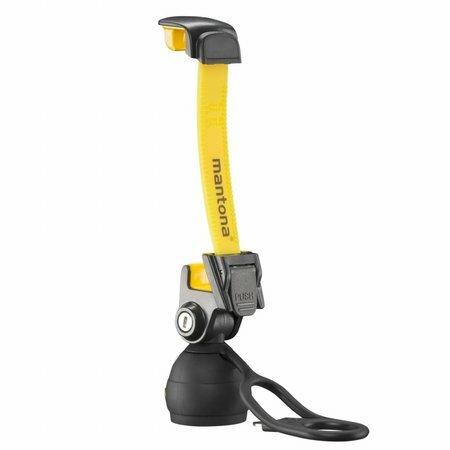 The remote control allows operating the trigger function of the camera in the regular camera app, both with Android and IOS devices and, of course, the required CR2032 battery is included with the delivery. 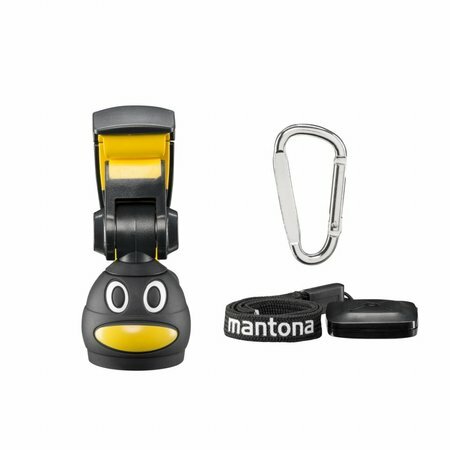 The mantona Bottle Selfie Holder with its penguin design does not simply look coolà it is also made of high-grade and durable materials such as ABS plastics and silicone. 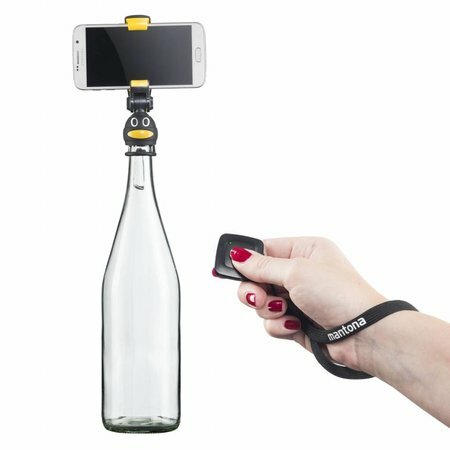 A securing strap reliably prevents your device from sustaining damage in case the holder detaches unexpectedly from the bottleneck due to rather strong movements. 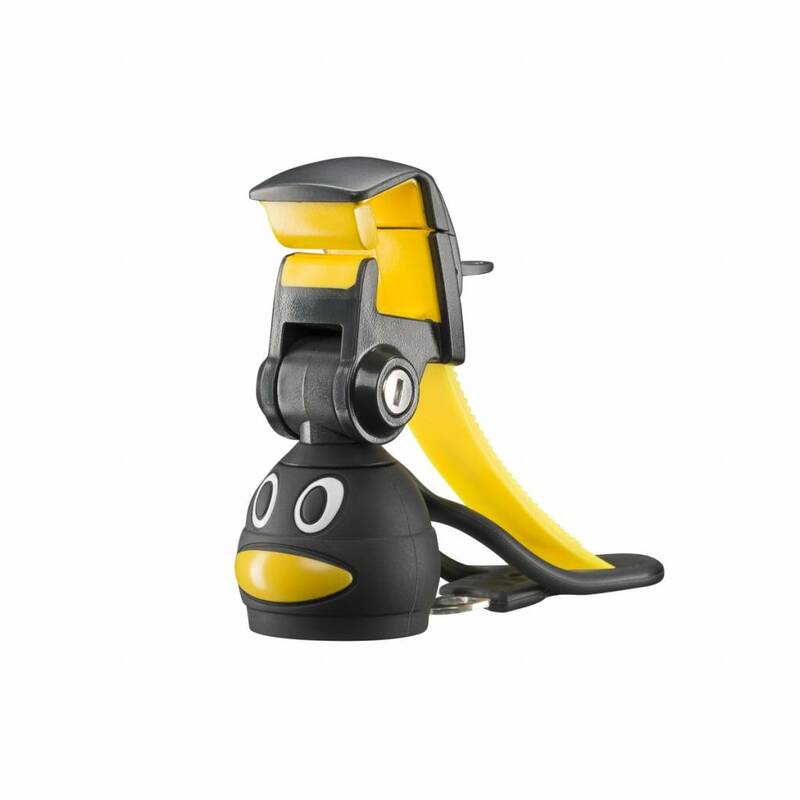 A spanner for tightening or the exact angle adjustment of the smartphone holder is integrated in the retaining tab in addition. 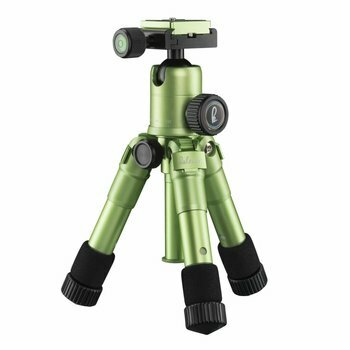 A carbine hook for fastening the holder to the outside of a backpack is also included with the scope of delivery.